Solution is very easy. 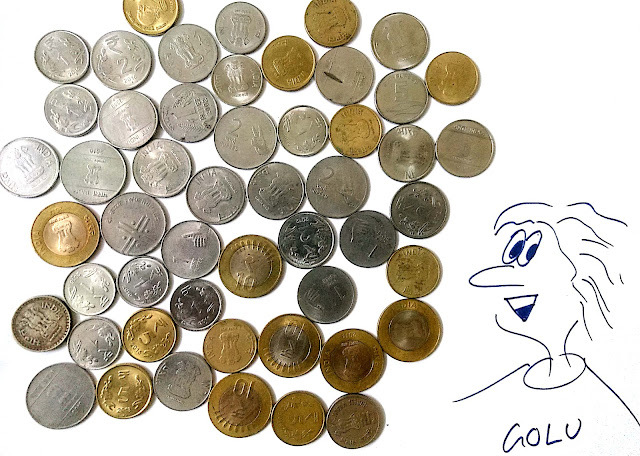 Divide the pile of 100 coins into two separate piles of 80 and 20 coins respectively. Just flip every coin of the pile of 20 coins and you will have same number of tails up(also same number of heads) in both piles. Too easy to digest, huh. Let’s see mathematically what’s happening. You have just divided 100 coins into two piles of 20 and 80 coins each. Since you can’t see so you have no idea how many tails/heads up are there in two piles. Let’s assume that the number of tails up in first pile(20 coins pile) is X then number of heads up coins would be 20 - X. Since, initially total number of tails up coins was 20 so number of tails up coins in second pile(80 coins pile) would be 20 - X. If you flip every coin of first pile then all X tails up coins will become heads up and remaining 20 - X heads up coins will be now tails up. Second pile is already having 20 - X tails up coins so we have now equal number of tails up coins in both piles. And since they have equal number of tails up coins means they also have same number of heads up coins. Easy right! !